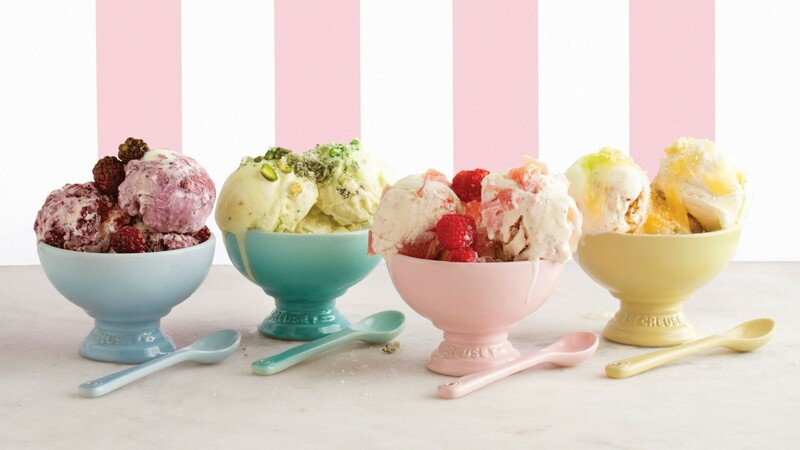 This retro-coloured set of ice-cream bowls is the perfect way to enjoy a scoop this summer. At one time or another, we've all stood in a department store, gazing longingly at Le Creuset's gorgeous cookware and wishing we could afford just one of their Dutch ovens, let alone a whole collection. And even if we did buy just one, how on Earth would we ever choose between all the gorgeous colours? Le Creuset has answered our pastel-coloured prayers with their new Sorbet Collection, featuring a line of small but perfectly formed kitchen accessories, which see a reduction in both size and price for the brand. The limited edition range offers sets of dishes, bowls and cocottes under $100 ― and all in the same super cute, soft colours. Of particular interest is their set of four adorably retro footed ice cream bowls, arriving just in time to take our soft scoop game to the next level this summer. The collection comes in six retro hues; Coastal Blue, Cool Mint, Chiffon Pink, Mimosa, Dune and Cotton. A couple of options (like the mugs and mini ramekins) come in a full set of six ― so depending on which one you choose, you could get the full swatch of colours. 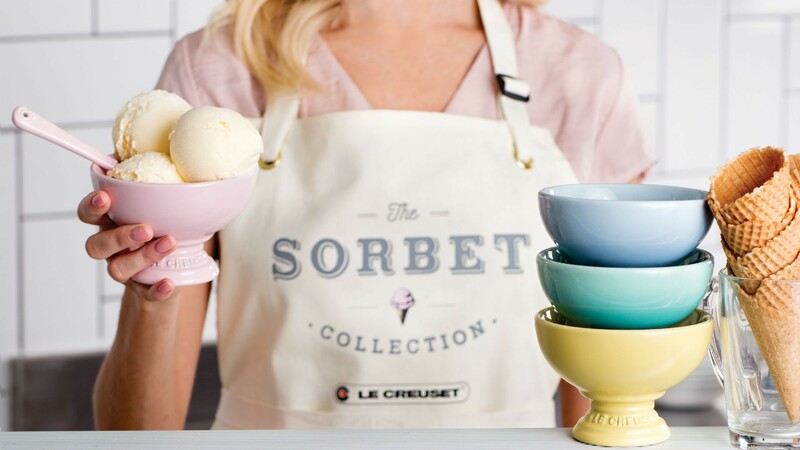 The Le Creuset Sorbet Collection launches on July 6 and will be available exclusively at Le Creuset boutiques and online.